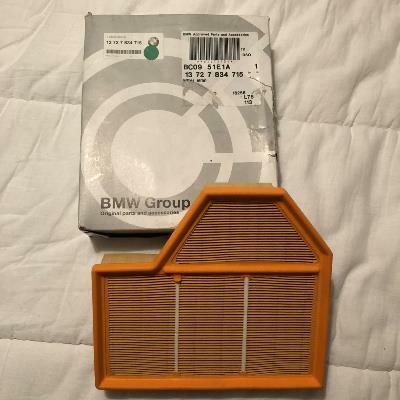 Genuine BMW left side air filter element. This fits BMW M5 E60 & E61 and M6 E63 & E64 models. The BMW part number is 13727834715. Please check this against your VIN number using the BMW electronic parts catalogue to make sure it is correct for your car before buying. If you do not know how to do this, send us the last 7 digits of your VIN number and we will check for you.